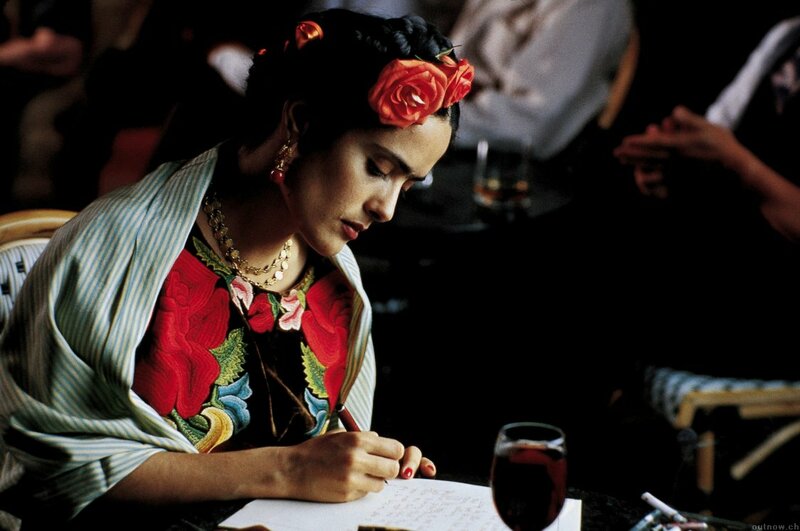 Salma Hayek celebrates her 51st birthday today; let’s watch her in 2002’s Frida, the film that earned her across the board Best Actress nominations: Oscar, Golden Globes, BAFTA. 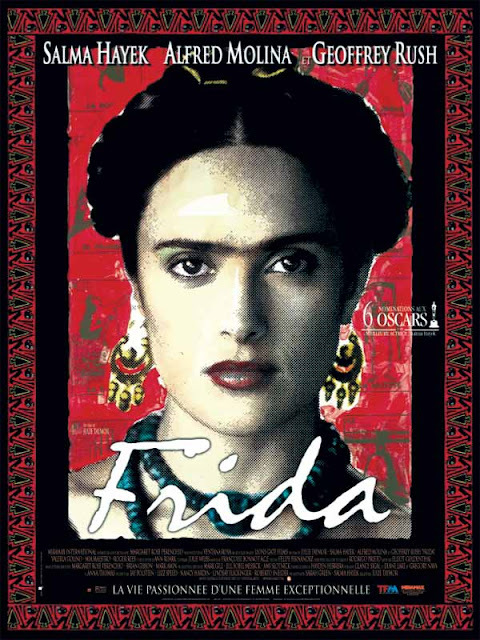 The whole cinematic world agreed she rocked it out as Frida. Hayek certainly looked the part, that iconic between-the- eyebrows patch of hair helping to earn the movie’s makeup artists an Oscar win. 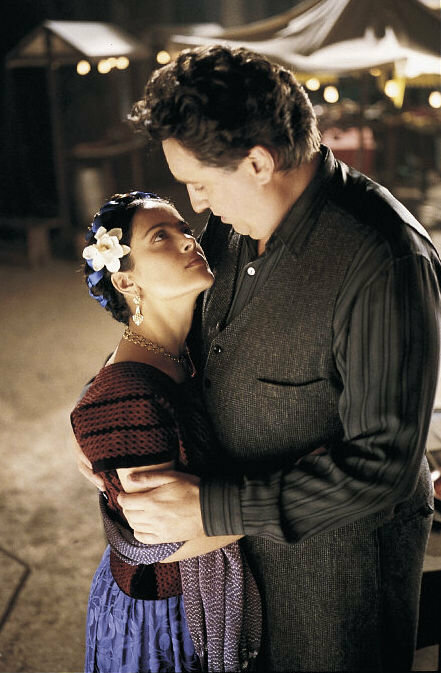 The film’s score from Elliot Goldenthal won the Oscar and a Golden Globe as well. The very busy Albert Molina (my hubs who has worked with Molina a couple of times, on 1997’s Anna Karenina and this year’s Message from the King says he’s a wonderful guy) played Diego Rivera, Geoffrey Rush as Leon Trotsky, Ashley Judd as activist actress and photographer Tina Modotti, Antonio Banderas as passionate Communist and artist David Alfaro Siqueiros and Edward Norton making an appearance as Nelson Rockefeller. 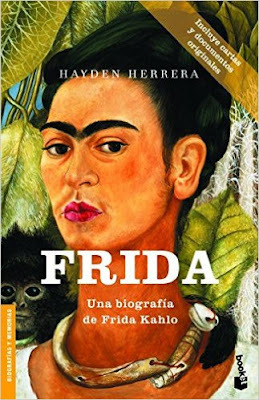 The film, directed by the visionary Julie Taymor, is based on the biography of Frida’s very dramatic life by Hayden Herrera. On a personal note, I once walked down the street next to Salma. 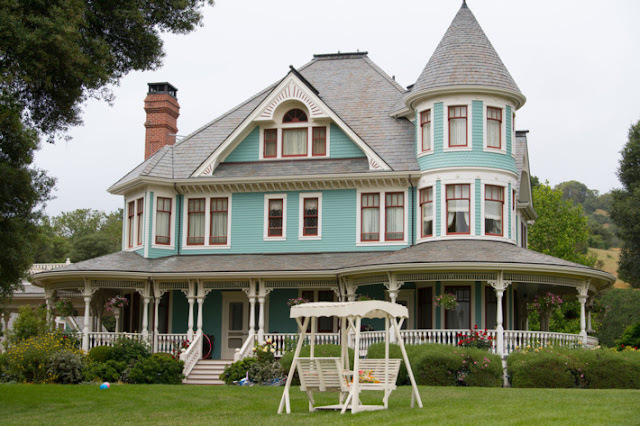 Along with a small group, including my husband, and Salma’s then-beau Edward Norton, we were on our way to W. in Westwood. It was some sort of cocktail event held up on the glamorous rooftop bar, possibly promoting some project or other. 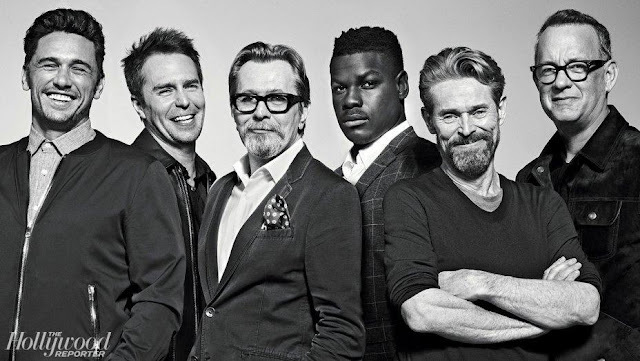 For the life of me I can’t remember what, the kind of thing my movie biz hubby attended. The kind of invitation I usually declined. What I recall is how tiny she was, even in high heels and how beautifully dressed in a short dress of layered sheeny fabric. Silk or taffeta, whatever it was, it was fashion forward and perfect. I recall feeling absurd in whatever outfit I’d pulled together, my basic mom wardrobe woefully inadequate and I wished I could disappear into the sidewalk. Once up on the rooftop bar she and Edward became immersed in conversation with the Hollywood producer they came to meet with while we disappeared into the crowd. As usual in a crowd-filled space, especially one filled with trendy, young and beautiful types, I wished I was anyplace but. I know! I am absolutely no fun at all. Anyway, let’s watch the trailer, and if you so desire make this your Saturday Matinee movie on Netflix, Amazon, YouTube, iTunes, Vudu and GooglePlay.